Families often place a loved one in a nursing facility to ensure they receive the highest level of care and supervision, especially if they have a high susceptibility to falling. Unfortunately, many nursing facilities are understaffed, overcrowded or fail to train their nurses on how to properly monitor and follow interventions to ensure that the resident does not fall. Sadly, the Janesville elder abuse attorneys at Rosenfeld Injury Lawyers LLC have represented many residents who have suffered serious life-threatening injuries by falling due to the neglectful actions of the nursing staff. 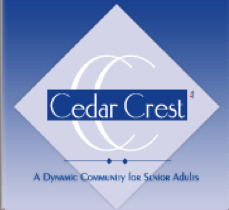 In addition to providing nursing services, Cedar Crest Health Center offers short-term rehabilitation, memory care and assisted living, residential living, apartment and townhome options. To ensure families have the most current information on nursing facilities in the United States, federal and state agencies routinely update their nursing home databases. The information includes the history of all opened investigations, health violations, filed complaints and safety concerns with the results published on numerous state and federal websites including Medicare.gov. One incident involved a resident with “a history of falls.” The resident’s current Comprehensive Care Plan documents the potential problem for injury related to trauma after the resident fell on 01/15/2016. “On 02/22/2015 at 12:45 PM, the surveyor observed [a CNA (Certified Nursing Assistant) assist the resident] back to his room after lunch.” The resident was in a wheelchair being assisted by the Certified Nursing Assistant. That time, the resident was transferred “from the wheelchair to the toilet with the use of a gait belt. Once [the resident] was seated on the toilet, the CNA left the bathroom, closing the bathroom door, but not shutting it completely, and waited for the resident to finish in the bathroom while she (the Certified Nursing Assistant) waited by [the resident’s] bed.” The investigator noted that at that time, “the CNA did not have the resident in her line of vision” failing to follow the written Plan of Care, which placed the resident in potential danger of injury. This incident involved a resident who has “potential for injury Plan of Care dated 10/01/2015 [...and] an intervention to this Plan of Care states in part; call light in reach.” The investigator reviewed the resident’s 9:57 AM 11/23/2015 Nursing Notes that revealed that the resident “had several falls recently.” Subsequent notes also revealed that the resident had a “fall without injury ambulating independently to the bathroom when he lost his balance and went backward.” While the family was “able to reach [him] before he hit the floor” a CNA (Certified Nursing Assistant) passing by the room saw the resident’s arm hit the ground. If your loved one is suffered serious injury or wrongful death after falling in any nursing facility, including Cedar Crest Health Center, Rosenfeld Injury Lawyers LLC can help. Our Rock County elder abuse attorneys can assist you in obtaining the financial compensation your family deserves. We accept all personal injury cases on contingency to avoid the need for an upfront payment. contact our Janesville Wisconsin nursing home abuse law firm today at (888) 424-5757 for free, no obligation consultation.